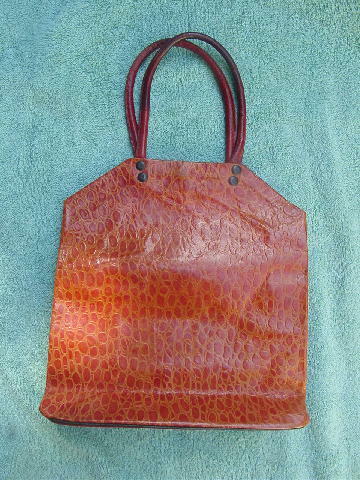 This vintage genuine leather tote was made in India. There is an interior one snap closure. 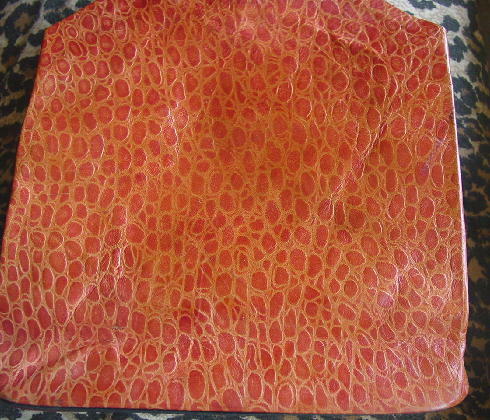 It has a reptile pattern in light caramel and reddish caramel. It's unlined and has some blue ink line marks on the interior leather. 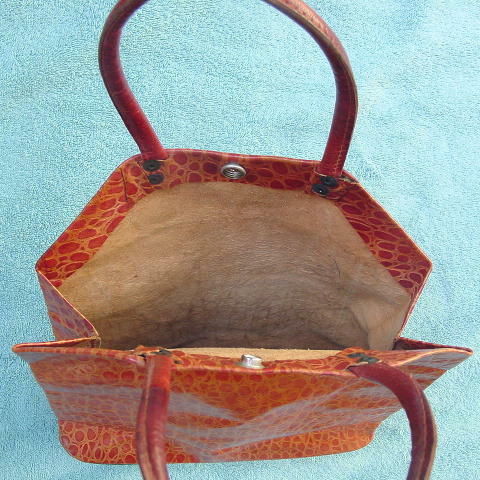 There are two padded 13" long leather handles. There are a few dark marks on the leather.